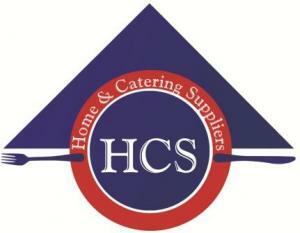 HCS Home and Catering Suppliers (t/a Home and Catering Suppliers), has in excess of 40 years experience distributing an extensive range of house-ware, catering and cleaning/gardening equipment across Southern Africa. As the largest Southern African distributor of the locally manufactured Consol glassware brand and in addition to our extensive range of imported glass, Home and Catering is the largest distributor of drinking glasses in Africa. We reach many diverse sections of the Southern African market, namely Retail, Catering, Cash & Carry, Tourism and Promotional Gifts. Home and Catering carries a broad range of internationally recognized brand names such as Marinex, Bicycle Playing Cards, Tramontina, Mayfair, Canyon, Durobor, Ashdene , Nadir, Ocean and Chef Works. With our many years of experience, we have confidently created our own brands which include the following Regent, Regent Chef , Regent Linen ,Galerie and Bar Butler. These brands offer our customers good quality and sustainability in the market.